right down to the ship's anchor and skull-and-crossbones flag. It has a non-tarnish brushed pewter finish. 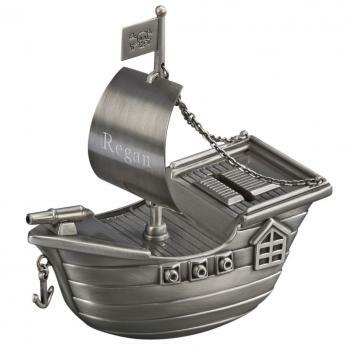 The sail provides the perfect engraving area and it can be lifted off of the ship's hull. Overall measurements are 6"H x 5.5"W x 2.5"D.